A compelling social media marketing strategy can help to develop an engaged audience, we help to keep up your social media marketing, drawing in with your company’s followers. We are a full service digital marketing company and our social media experts help build your business targets and distinguish your intended interest groups, by connecting with and sharing content that will engage your customer base and drive sales. We will tailor a social media marketing strategy for your brand and your audience. You’ll get a completely transparent and detailed social media analysis, content arrangement and marketing assessment, and in addition a dedicated social media specialist whose effort and attention to detail will help increase and expand your productivity. Our Social Media Services gives you the opportunity to interface and offer data leading to an increase of awareness of your brand, including items, or services. The benefits of Social Media marketing are reflected in the quantity of retweets, shares, comments, stats, likes and engagement. Social Media Marketing supports client created content and can be shared on all social media networks not just limited to Facebook, Google+, Twitter, Pinterest and LinkedIn. Enhance your business’ notoriety utilizing the social media instruments inside the product marketing. Identify and record each notice of your brand to figure out what your customers and potential customers are stating in connection to key industry term. Facebook, Twitter or Pinterest contest can exceedingly build the quality movement in your business in a brief time of time. Our experts will figure out which sorts of challenge and which social systems administration stages are the most suitable for your brand. Our social media experts by means of Facebook, Twitter and LinkedIn will correspond with your present and potential customers, build activity to your site and accomplish extraordinary results in affecting and building relations with your intended interest group. Social media profiles made and customized with marvelous pictures, fabulous design and striking page designs will doubtlessly draw in consideration from invested individuals over a another company. 310,000,000 – Estimated Unique Monthly Visitors. With almost half of Twitter’s users following brands and companies, it’s a huge land of marketing opportunities. It can spread awareness of your company, create leads, drive traffic to your site, build a loyal customer base and much more. 255,000,000 – Estimated Unique Monthly Visitors. It doesn’t matter if you’re a large company or a small startup, you can easily utilize linkedin to help get you message across on a professional level. 250,000,000 – Estimated Unique Monthly Visitors. Creating your profile, boards and pins to appeal to your niche audience will help grow your followers and increase engagement via pinterest. 120,000,000 – Estimated Unique Monthly Visitors. Google+ is, well, Google’s baby. So its important to have a presence on Google+ due to the fact it can help your ranking authority in the Google search results. 110,000,000 – Estimated Unique Monthly Visitors. micro-blogging platform Tumblr is currently giving wordpress a run for its money. Just like wordpress you can create a microblog to share and syndicate content. 100,000,000 – Estimated Unique Monthly Visitors. Instagram is huge for sharing images and pictures, and if your company or product appeals to this demographic it can be powerful for you brand. 80,000,000 – Estimated Unique Monthly Visitors. VK is a social network similar to Facebook but on the European front. If you’re looking to gain some traction overseas this is one social network you’ll want to be on. 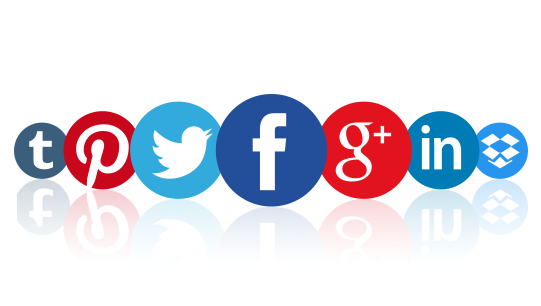 Contact us today to learn more on Social Media Marketing Services.